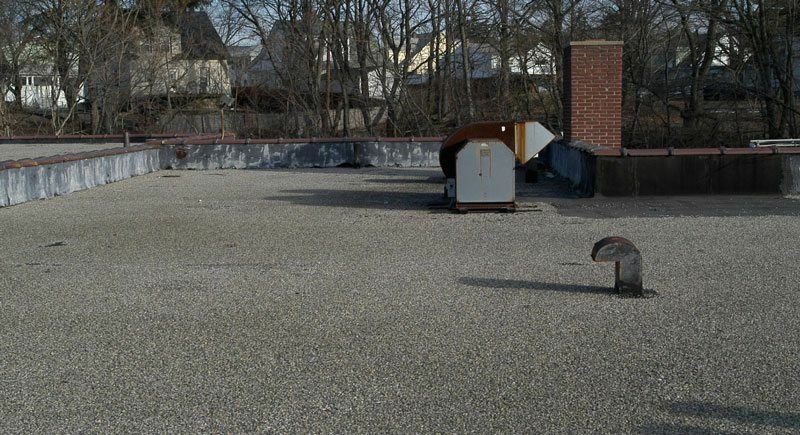 There are many Commercial Flat roof systems but only three types that most roofing contractors use. 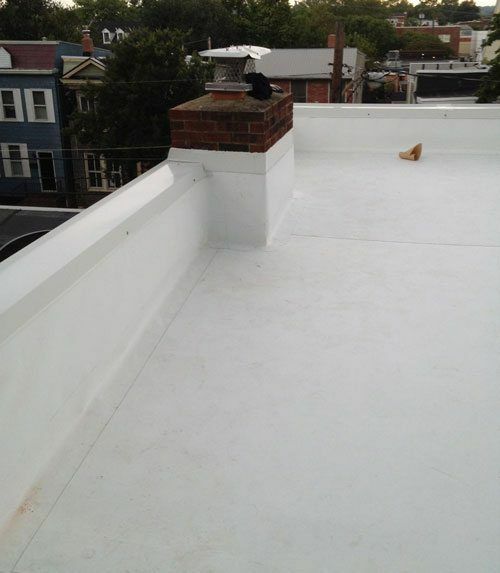 Spray polyurethane foam-based Roof System. *Flat Roof Doctor and Commercial Roof USA specializes in the installation of 2 Ply Modified Bitumen Torch Down Rubber Roof System. The BUR system has been in use in the U.S. for over a 100 years. It is a “Hot-Tar-and-Gravel” Roof System. These roofs are composed of layers of saturated asphalt paper and moped down hot liquid coal tar or asphalt. Asphalt-saturated paper layers in a crisscross pattern and depending on the contractor, as many as 12 layers of paper and the mopping of coal tar or asphalt during the installation between the layers. Coal tar or asphalt is heated in a kettle with propane gas and pumped up to the rooftop. Spreading of hot tar over the work surface with a mop or squeegee, and the felt paper is rolled out over it. Asphalt is a petroleum product refined from crude oil and coal tar comes from the distillation of coal. Either way, the coal tar or asphalt is the adhesive, that when combined with many layers of felt paper, forms a thick membrane that becomes the roof. After the membrane has been built-up, a final thin layer of coal tar or asphalt along with aggregate stone of 1/2” is spread over the entire membrane. This stone is used to protect the roof from harmful UV rays. The BUR roofing system can last many decades, but beyond that, there will be a certain amount of degradation. Petroleum based products will become dry and brittle and start to crack, due to evaporation, causing leaks. The BUR roofing system is expensive to install, due to the labor and materials involved. These roofs have been known to last for over 50 years, because of the multiple layers “build up.” Some of them have had as many as 15 -20 layers of paper and tar, however, we have also seen that some contractors would “come down” with the number of layers, to as many as 5 and as few as 3. 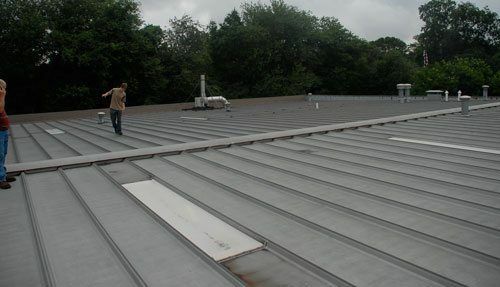 The Structural Metal Panel Roof System is a type of metal roof system used for a low slope application. It is common to see metal panel roofs over warehouses and factories. The metal panels can span up to 4 ft., from rafter to rafter and can support the weight of a person. A special sealant is used between seams and overlapping joints to prevent water from entering. Neoprene washers provide the seal where bolts fasten the metal roof to the metal rafters. These metal panels are excellent water barriers and will prevent water from leaking through when correctly installed. This type of roof can last for 40 to 50 years when properly maintained. The Modified Bitumen Torch Down Rubber Roof System (MB) was developed by the Italians in the 1960s and made its way to the U.S. by the late 1970s. The rubber membrane reinforced fabrics covered with asphalt, which consists of modifiers that give the asphalt its elastic properties on both sides. The modified asphalt comes in widths of 36″. Because of the rubberized technology, giving these membranes the branding of rubber roofs or rubber membranes. APP – is a Modified Bitumen membrane that is fully Torched Down to the fiber base, and the seams are welded together, hence the name – Torch Down Membrane. SBS – is a Modified Bitumen membrane that uses cold or hot mopping tar or asphalt adhesives. Some SBS membranes are self-adhering; the backing is very sticky and will adhere to the surface. The MB membranes have three types of surfaces: smooth surface, mineral surface, and a foil laminate surface. The mineral surface is a coating of ceramic material that protects the rubber against harmful UV rays. The MB roof system installs mainly as a single-ply system. 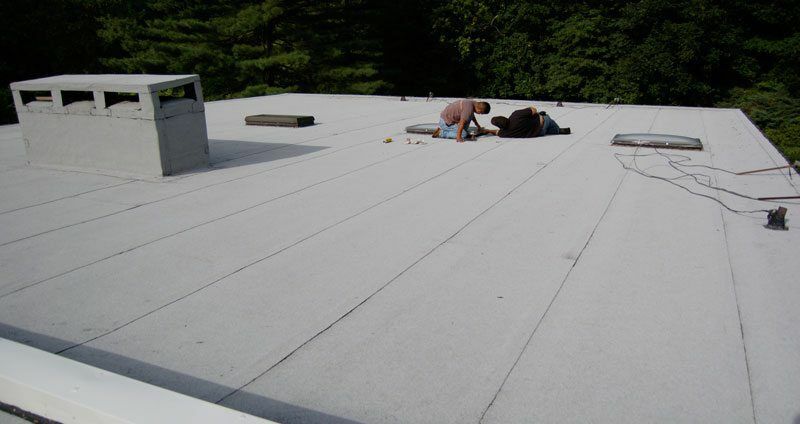 However, we specialize in a 2-ply system to extend the roof life to 40 years or more. We have come to specialize in this roofing system for many reasons, but the most important one, is regarding maintenance, because of the Modified 2 Ply Bitumen Torch Down Rubber Roof System, needs minimal to none. EPDM, TPO, and PVC are single ply synthetic membranes and comes in wide sheets. These layers are thin and come in rolls of 8 – 20 feet widths. Adhesives are used to adhere these layers to the properly cleaned substrate. Preparing the surface is vital for the proper adhesion of the material by removal of dust and particles, according to the manufacturer’s instructions. EPDM consist of 2 compounds that comes from oil and natural gas and the seams are glued together with a liquid adhesive that has been reformulated four different times. Currently, as a remedy, a new self-adhering cover tape is placed over the seams. These membranes are not well protected from harmful UV rays and are prone to degradation. The Image is of a White TPO Vinyl Roof with Little UV Protection.